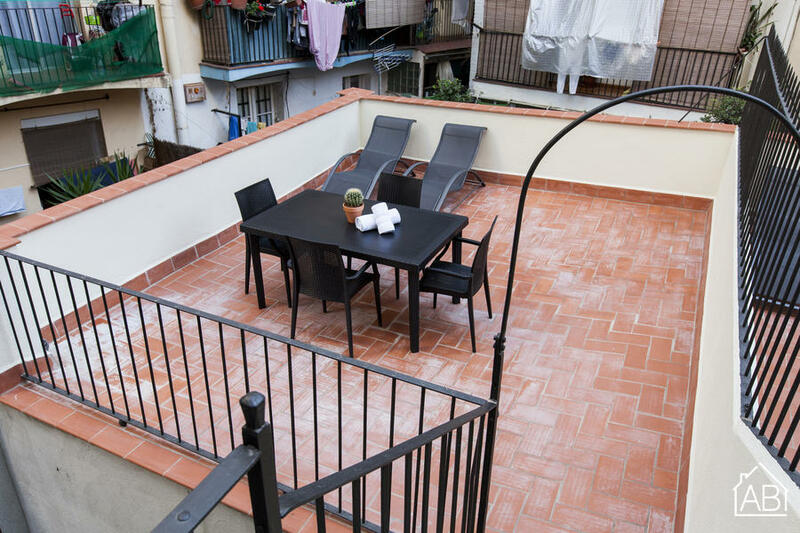 This amazing, 3 bedroom apartment is situated in the Poble Sec area, where you can find plenty of great bars and restaurants, not only in the Poble Sec area, but also in the Sant Antoni and Raval areas, which is just 10 minutes walking distance. With two metro stops nearby, you’ll have everything the city has to offer at your fingertips. This apartment can accommodate up to 8 people comfortably, with 3 bedrooms and 2 bathrooms, allowing for plenty of space and privacy. The apartment has also been recently refurbished. This lovely apartment has a fully equipped kitchen, allowing you to prepare your favorite meals anytime you want. It also comes with plenty of amenities, such as a dishwasher, washing machine, internet connection, air conditioning and heaters. You’ll also have access to a balcony and a private terrace. This is the ideal apartment for your stay in the Catalan capital.